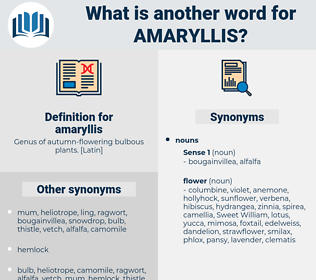 What is another word for amaryllis? I strolled through the hallway, hands in pockets, whistling " Amaryllis," a tune that smacked on my lips; and so came to the south casement. Miss Amaryllis has promised me this dance. 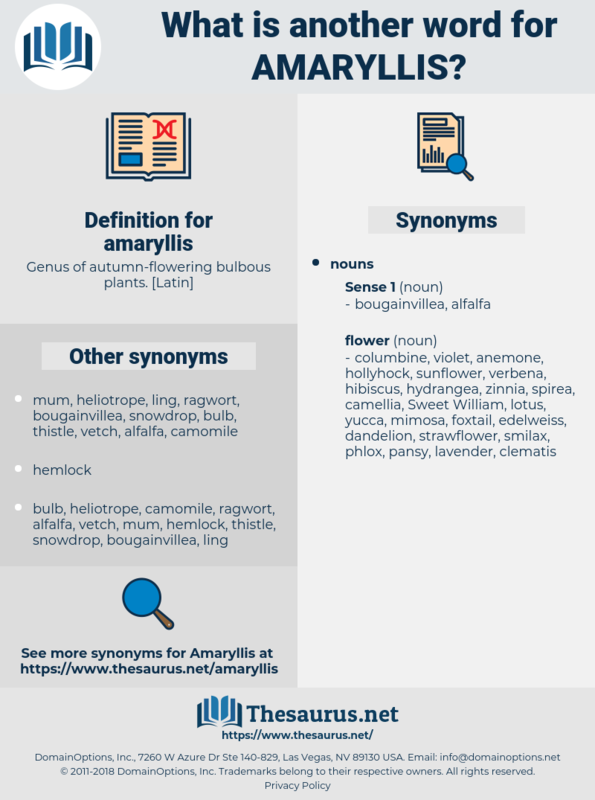 amaryllidaceae, Family Amaryllidaceae, amaryllis family. belladonna lily, Strekelia Formosissima, naked lady, Jacobean Lily, Hippeastrum Puniceum, hippeastrum, Aztec Lily, amaryllis belladonna.